2018 WILL BE THE 33rd TIME WE GIVE OUT FREE POWER BIG MEET LICENSE PLATES! 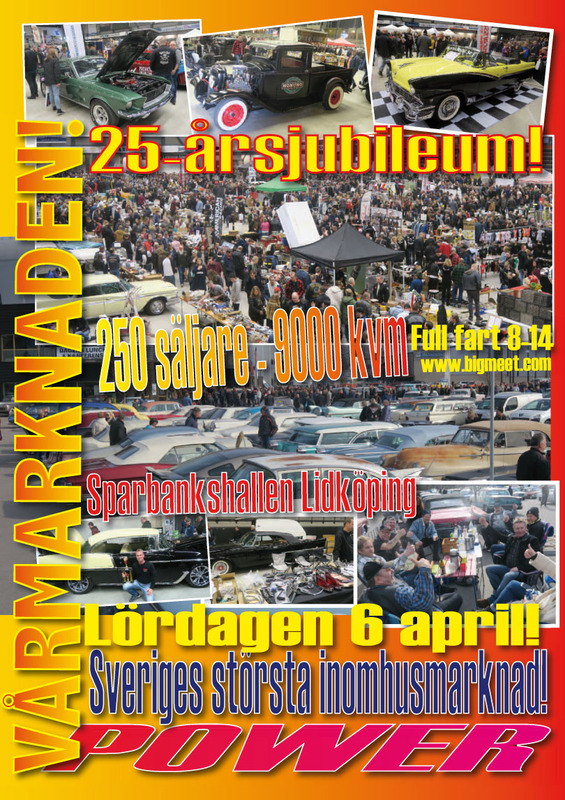 A Complete collection av BIG MEET plates was sold at an on lice auction” in spring 2017 för appx 2000 Euro. These plates are collected ALL OVER THE WORLD! 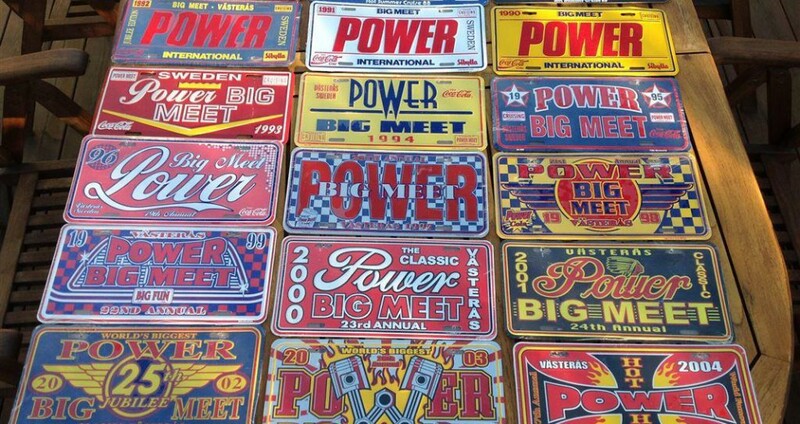 The license plates are a popular feature of Big Power Meet. They were introduced in 1987, and were made of cardboard. Only appx 1000 were made – very few are still around. Maybe less than 50. Since 1990 they are made of metal – a completely new design every year. 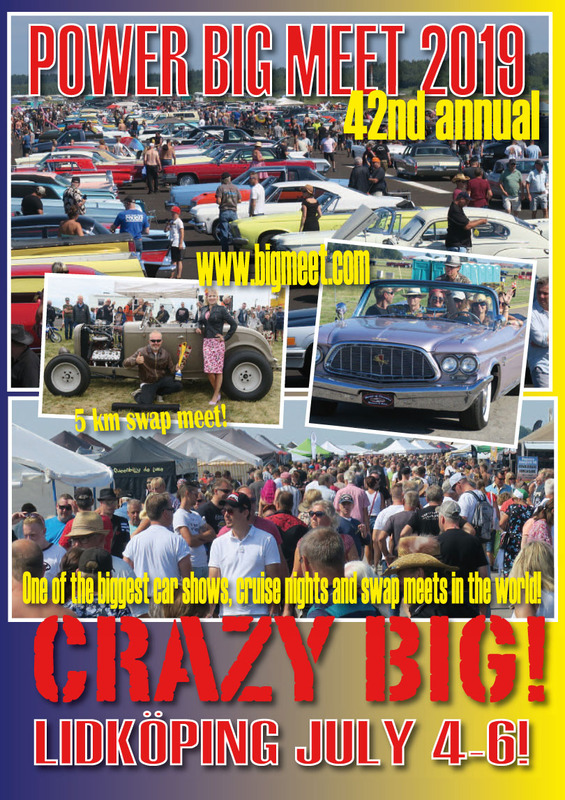 Because the license plates are limited to 6000 (about 3000 1991 – 1995) and are given out FREE according to “first come first serve” to exhibiting cars on Friday and Saturday morning, they have become quite a collector’s item to visitors from all over the world. For obviuos reasons we have run of of plates every year. WARNING! Some foreign visitors has in the past tried to beat the “1 plate per car rule” by going in and out of the showgrounds numerous times just after we open the gates early in the morning. This is not fair play. Beware of the fact that this can be grounds for a harsch reaction from the Power Big Meet event staff.